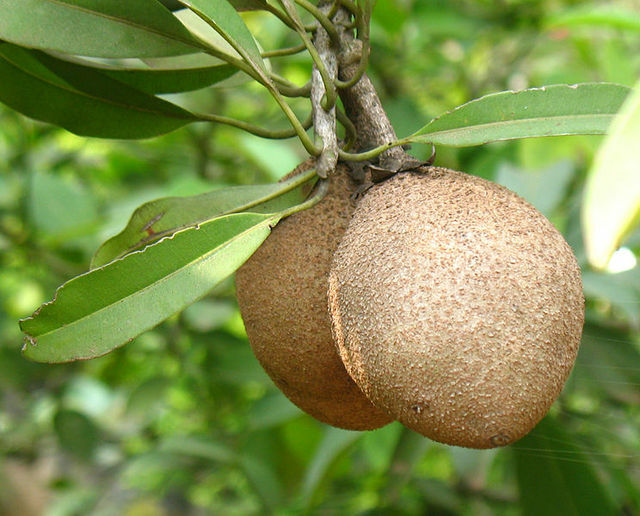 Round, oblate, oval, ellipsoidal, or conical fruit varying in size from 2 to 4 in (5-10 cm) in width. The immature fruit is hard and has a sandpaper like texture. 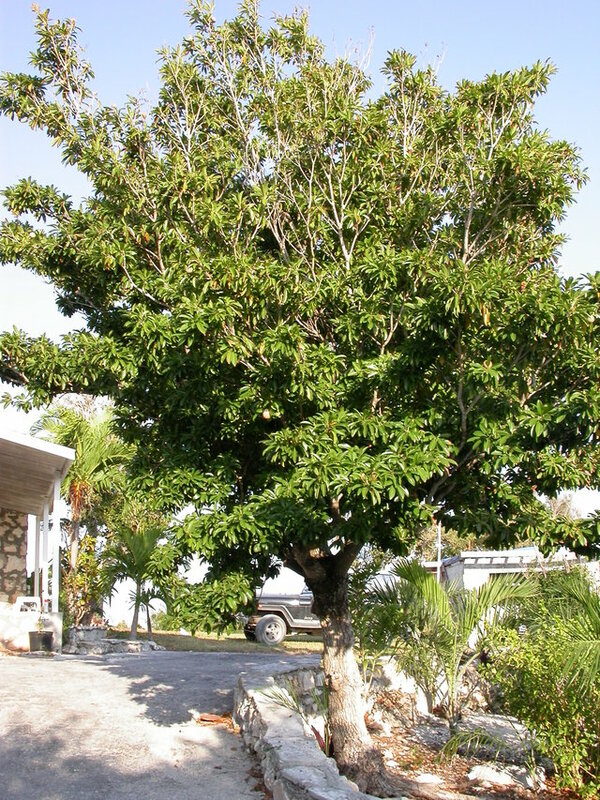 Typically, the fruit does not ripen until it is picked or falls off the tree. When ripe, the fruit becomes soft and juicy. The flesh may be yellow, reddish brown, or dark brown with smooth or grainy textures. While some fruits may be seedless, they typically contain 3 - 10 hard black seeds in the center. 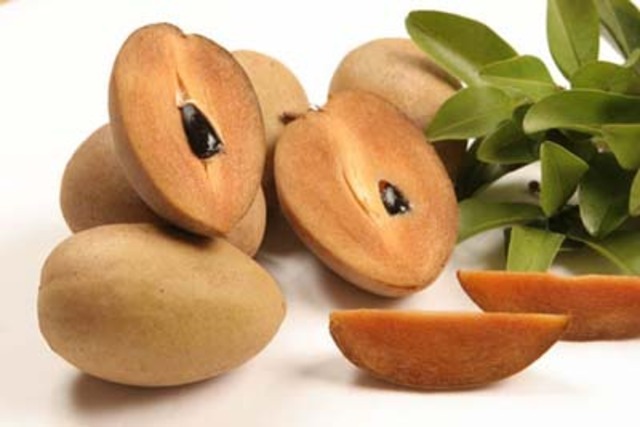 The fruit is considered to be very delicious and is highly desired. The sap or gum from the tree is also a source of 'chicle' the original ingredient used to make chewing gum.